The doll John Batman gave to his daughter, Elizabeth, lies preserved in a box of acid-free tissue paper. 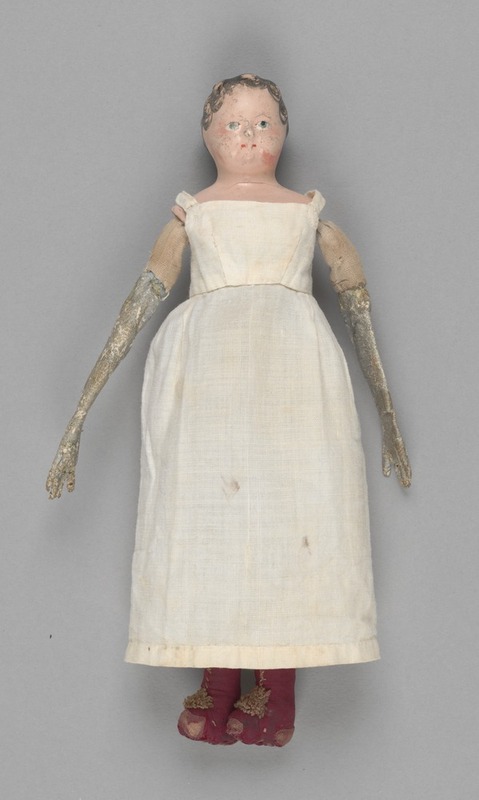 Despite the efforts of the Library’s expert conservation staff, there is something macabre about her deteriorating form – her fading facial features and her worn leather arms. She was in the glass case with a harpoon gun, a muzzle-loading revolver, a walking stick, a telescope, a holder for a clay pipe, and a silver spectacle case. 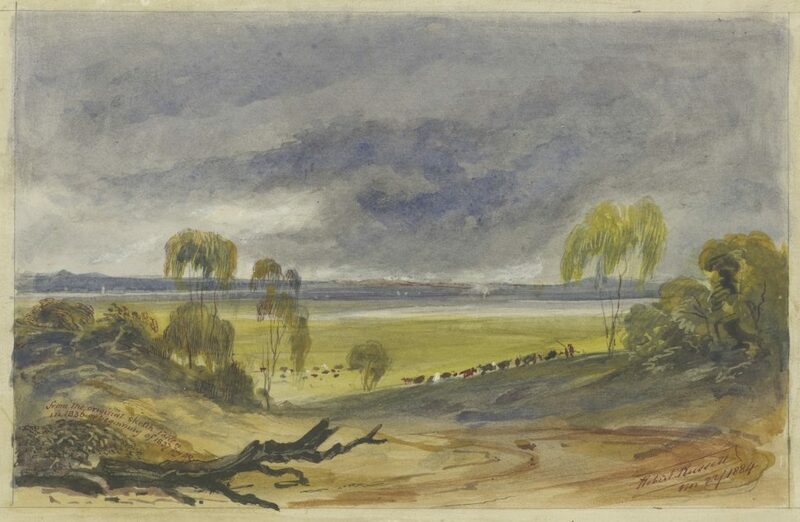 Some of these things belonged to John Pascoe Fawkner and some belonged to Edward Henty. She lay like a corpse in crimson bonnet and shoes … (p 101). Elizabeth Batman however, was luckier than most. 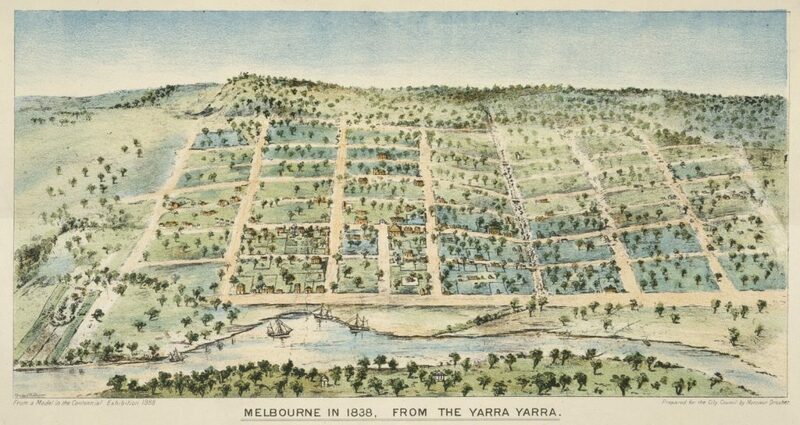 She would have been six or seven years of age when her father, the infamous pioneer John Batman, moved his wife and seven daughters to their house on Batman’s Hill. The Batmans had thirty servants, a library, an orchard, a garden, sheep, cattle and horses, as well as a governess to educate their children. The clothing worn by Elizabeth Batman’s doll is typical of the period. Settlers preferred cool fabrics such as muslin, silks and cotton, and often chose to wear white. Hats and sun bonnets were more than just fashion accessories. They protected their wearers from the harsh Australian sun. … very thick lacing boots out of doors and substantial leather shoes indoors, white drawers almost to the top of our boots, white stockings, round housemaids’ skirts and very big holland pinafores with holes for the arms and falling straight down. 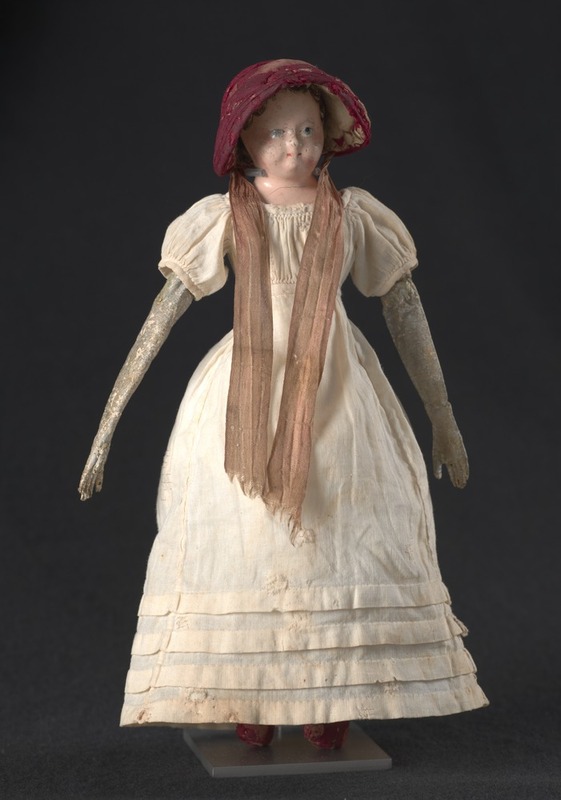 Elizabeth Batman’s doll is an interesting relic from the earliest days of Melbourne. Her appearance is testament to the ravages of time, and how much things have changed. Thank you for an interesting account re Elizabeth Batman’s doll. Recently went to Geelong East Cemetery for a History Alive Tour including Eliza Batman’s grave. 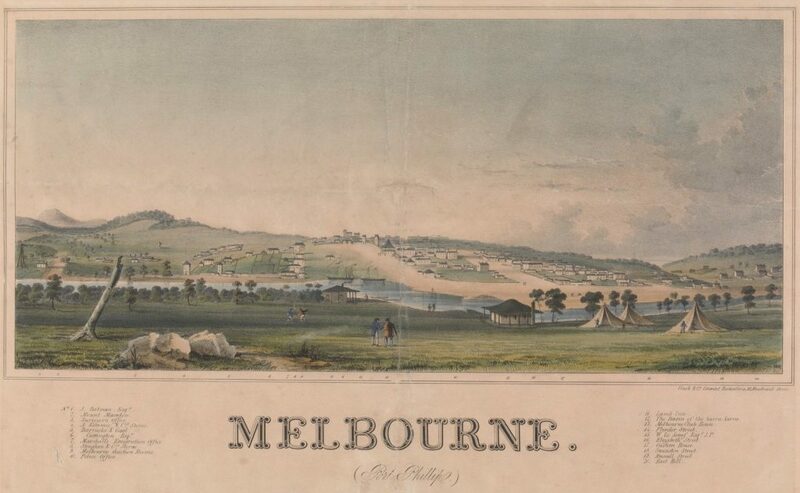 I would like to visit State Library to see any material on Robert Hoddle my great grandfather. Can you help me to organise this. Many years ago there were 2 boxes of letters photos etc which I did not finish reviewing. Are these still available? Regards Carolyn Glembin. This is lovely to see. 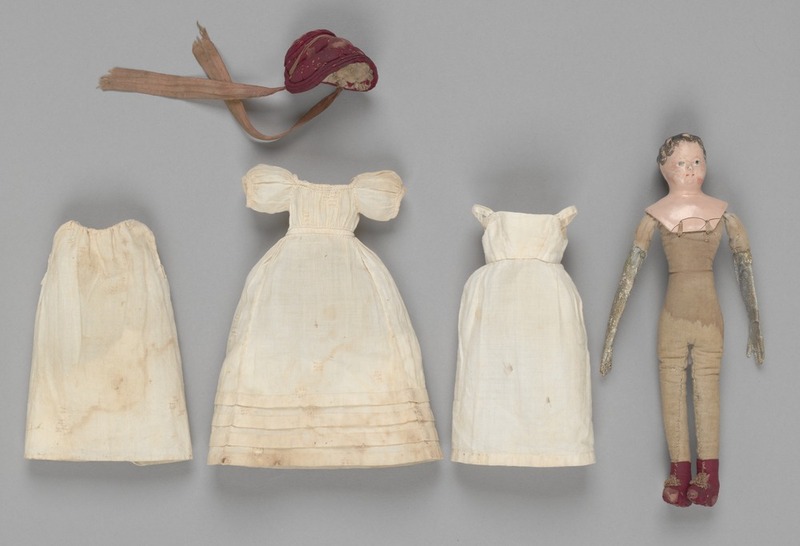 Many people find old dolls quite spooky, but they’re such a touching reminder of childhood’s past. 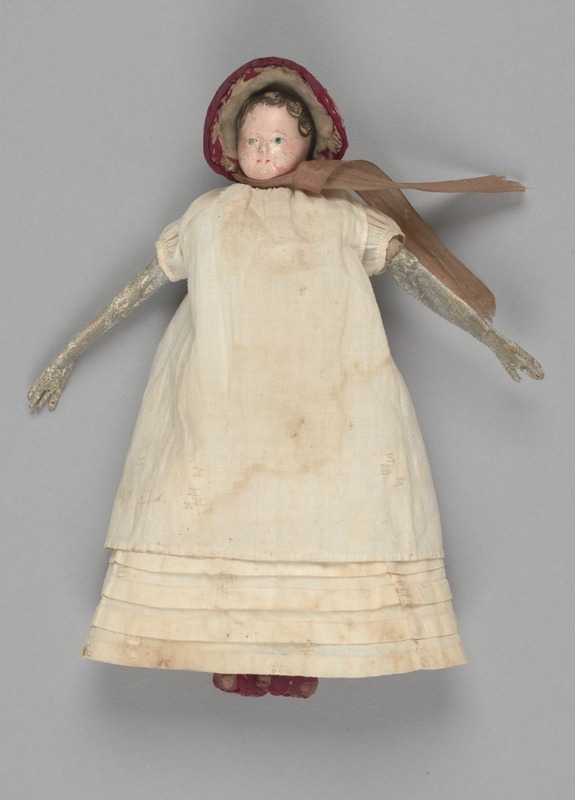 I have an excellent book on papier mache puppen dating from 1760-1860 with many colour photos and old pattern book illustrations with kinderkopf heads just like this one. It is in German , but the library is most welcome to see it , if only to make a copy of some of the llustrations. Very interesting article giving us a glimpse of the past as it related to children, not always easy to find. Very well presented. Thanks keep up the good work.